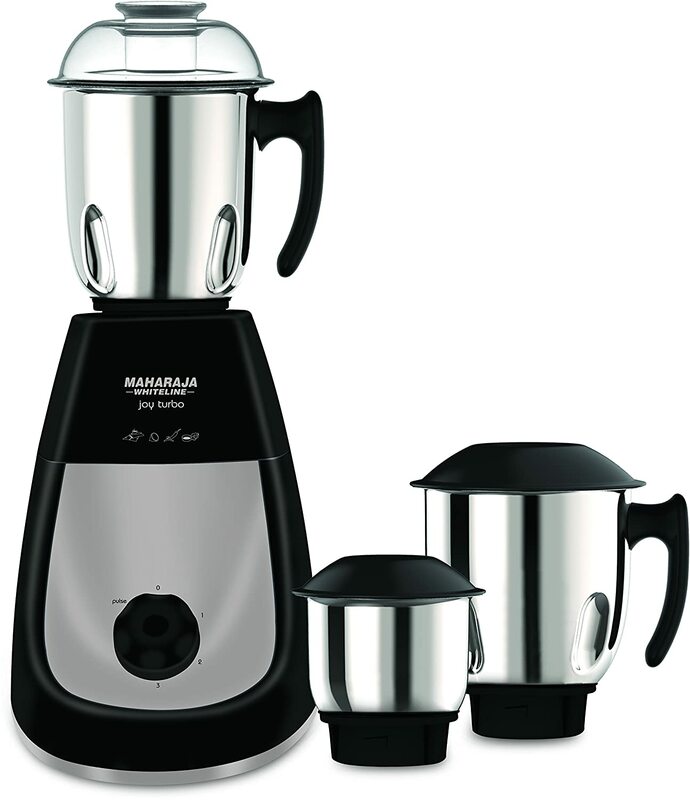 Mixer Grinder with device comes with 5 year Motor Warranty. This device has 750 w powerful motor with stainless steel Jar. It comes with 3 jars for various types of kitchen uses. 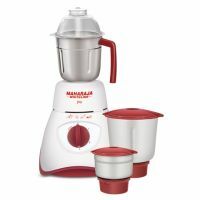 It is specially designed to grind, blend and liquidize even the toughest preparatory ingredients and ultimately make your recipes more flavorsome. 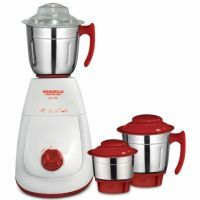 It comes with 3 heavy duty stainless steel jars with capacities 0.4 L, 1L and 1.5 L fitted with different designs of blades to fulfill different food preparations including dry and wet grinding. Unique oval depressions on jars known as flow breakers facilitate better grinding. To Recieve updates and possible rewards for Maharaja Whiteline Joy Turbo please sign in. To Recieve updates and possible rewards for Juicer Mixer Grinder (JMG) please sign in.